Basil of Baker Street continues his brilliant detective career as he solves three tough cases! "The Case of the Counterfeit Cheese”: in which mousedom is terrified as mice crack their teeth on phony cheese bits made of concrete. 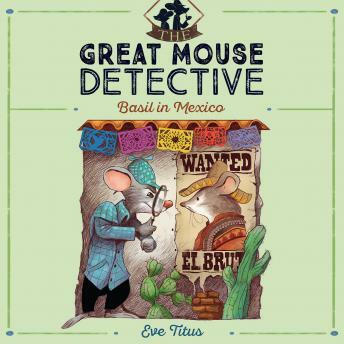 “The Theft of the Mousa Lisa”: in which Basil ferrets out the truth behind the strange theft of Mexico’s beloved masterpiece. “The Disappearance of Dr. Dawson”: in which — horror of horrors! — Basil’s faithful friend is mousenapped. In all these daring adventures, Basil proves himself to be a true disciple of his hero, Sherlock Holmes!